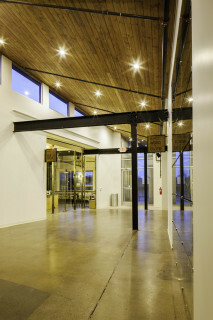 The Storm cloud Brewery project in downtown Frankfort, Michigan, is the renovation and addition to an existing building. The Frankfort Garden Theater project is the renovation of a 1920’s single screen movie house, a historical landmark of the downtown. Northern Latitudes Distillery in Lake Leelanau is the conversion of an old retail space into a distillery. Phase 2 is the addition of a private residence on the roof of the recently completed building renovation.